some making the supreme sacrifice to ensure that our way of life could continue in peace. Group 1.This group will make maps of Tenbury and District circa 1914 and note places of significance during the War years and mark houses where a family member was lost a son,brother or father. Group 2. 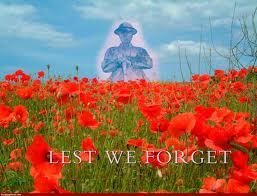 Will try and put together as much information as possible on those servicemen killed in action. For instance Schools attended, hobbies, type of work and any information that will help us understand the person rather than just the name on a stone. Group 3. This group are writing a play based on Tenbury at War and will perform this at the Regal Cinema. The results of Group 1 & 2 we hope to put on display in the Pump Rooms as well as a large number of items we have collected. On Saturday 2nd of August the Pump Rooms will be open to the public for viewing of the artifacts. Sunday 3rd August Events will take place from 10.00am to 5.00pm on the Burgage in the centre of Tenbury Wells. Regal Cinema Showing Films every hour from 10.00am, Food and Drink, Tombola,Stalls, Drumhead Service. Admission is FREE so come along and help us make it a good day and remember all the armed forces who lost their lives during World War One. As we are sure you know the 4th August this year, 2014, marks the start of World War One for the UK and, what was then the British Empire now, the Commonwealth. Over 37 million men, women and children from over 100 countries were casualties in or as the result of the conflict which covered most of the world’s surface. Of these over 16 million lost their lives, about 10 million military and 7 million civilians. 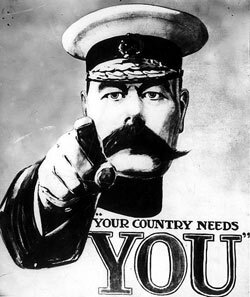 Of the 10 million military deaths over 1 million were Army, Naval and the new Air Force (RFC) personnel from Great Britain. The main event will be the candle lit ceremony at the Tenbury War Memorial outside St Mary’s Church at 2300 hours on the 4th (please be there by latest 2245). 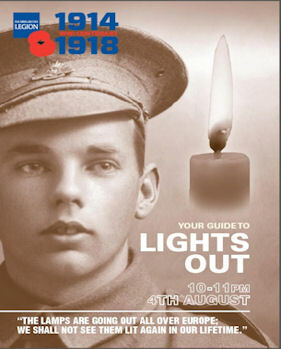 The RBL National Chair has launched an appeal for at least a million households in the UK to switch their electric lights off from 10pm till 11pm (2200 to 2300) and to have a single lighted candle in their window to remember, one for each of the 1 million UK men and women who lost their lives.